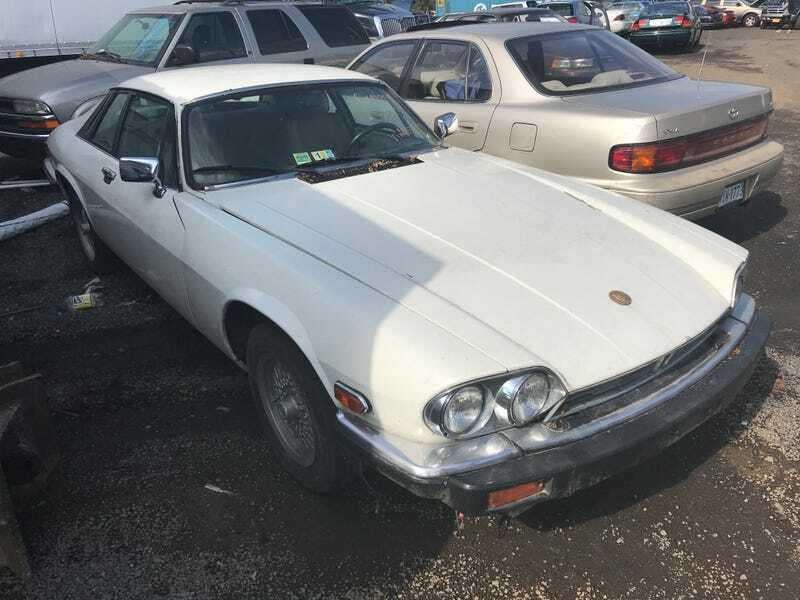 This Jag XJS had pretty worn-our interior, to say the least. Had kind of an awful Saturday in a variety of ways, so I went back out to the junkyard because what better way to cool off and reflect on life than to go walk around hundreds of mostly-dead cars? Spotsylvania County Sheriff Crown Vic. Pontiac Sunfire, in decent condition. Volvo wagon. This made me sad. Another Eldorado, though of a different gen. Some big old camper I couldn’t get to. Ford Taurus wagon. One of the few car I saw with most of the engine intact. Toyota Previa. This was being actively salvaged as I walked by it. Saturn S-Series sedan in a delightful shade of teal. Volvo 245DL. This made me angry and sad at the same time. Olds Cutlass Ciera. Didn’t seem to be missing much. This might’ve been a Toyota Tercel Coupe. Couldn’t tell. Geo Prizm. The first Geo I’ve laid eyes on in roughly three years. Back of the Prizm. Considered grabbing the badges but decided not to. Fittingly-tipped PT Cruiser. One of roughly 20 I saw yesterday. The rusting shell of a Datsun 280Z. Third-gen Ford Thunderbird. This made me extraordinarily sad. Back of the T-bird and the front of something I couldn’t tell the identity of. Maybe a Chevelle? Chevy Corvair Monza being reclaimed by nature. This also made me sad. What was once a Saab 9-5 Convertible, the only Saab I don’t really like. They’d somehow gone in and moved the Olds, Merc wagon, as “Caprice SS” I saw a week ago. Now, they’re in this extraordinarily safe position. Held on by a tire. Yep, totally safe. Finally, this Explorer had a Honda tow hitch cover, which confused me.